Live today: The latest feature to hit the shelves of Timetastic is: Group Bookings. 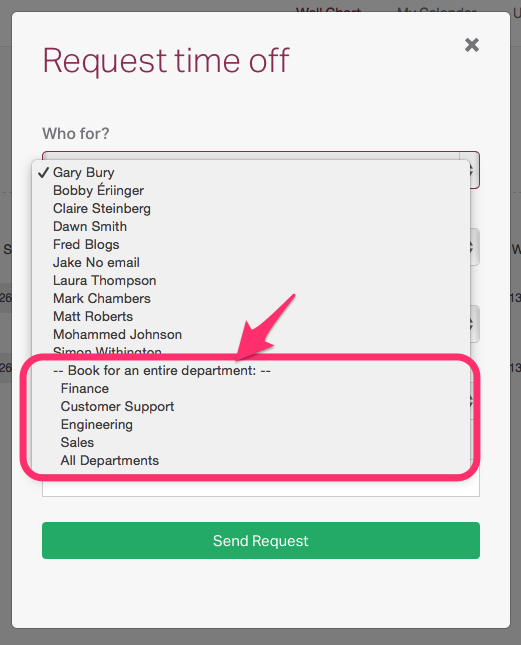 Group Bookings allow you to record time off for a full department or the entire organisation in one go. It's aimed at those who have company shut downs, team meetings or away days, or maybe additional company days off around Christmas or other annual events. I genuinely don't think we could have made the process much simpler, but we have included the full details again in the Help Centre by Clicking Here.